It’s a brand that has been absent from the UK market for a year now, but Rocky Mountain is back with a new distributor and a range that looks better than ever. 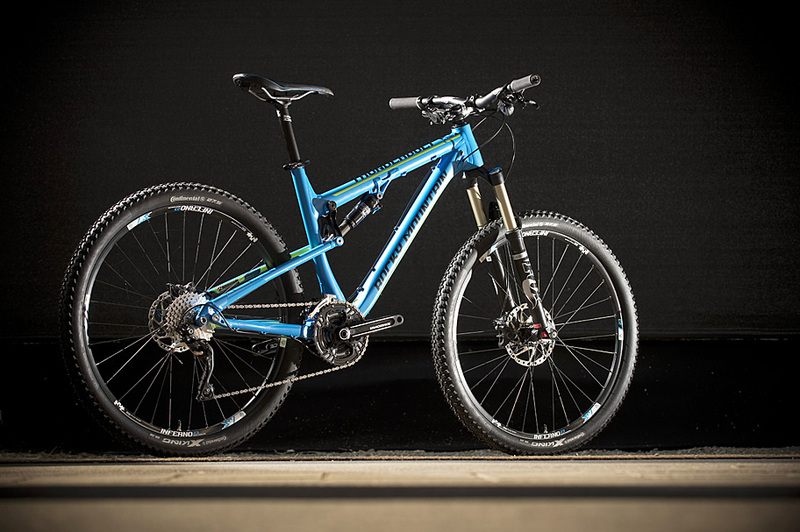 Building on the strength of the 650b Altitude, launched last summer, and the well-configured Instinct 29er, comes the new Thunderbolt – a short travel rig that aims to distil the abilities of its bigger brethren into a more compact, all-day package. Designed around 650b wheels, the 120mm travel Thunderbolt should be equally at home on the trail centres of the UK as the wet, rooty singletrack of Rocky Mountain’s North Shore home in Vancouver. Efficient, but with a strong emphasis on agility and handling, it’s just the sort of bike that should strike a chord with UK riders. There are four models in the range, all of which share the same aluminium frame, starting with the 730 at £2,499 and going up to the 770 at £3,499. The suspension travel is delivered through Rocky’s swing-link design, known as Smoothlink, but the Thunderbolt forgoes the clever Ride 9 geometry and tuning system found on the Instinct and Altitude for the sake of simplicity and cost saving. We’ve found it a useful tool in the past, so hopefully Rocky has nailed the details on the Thunderbolt.